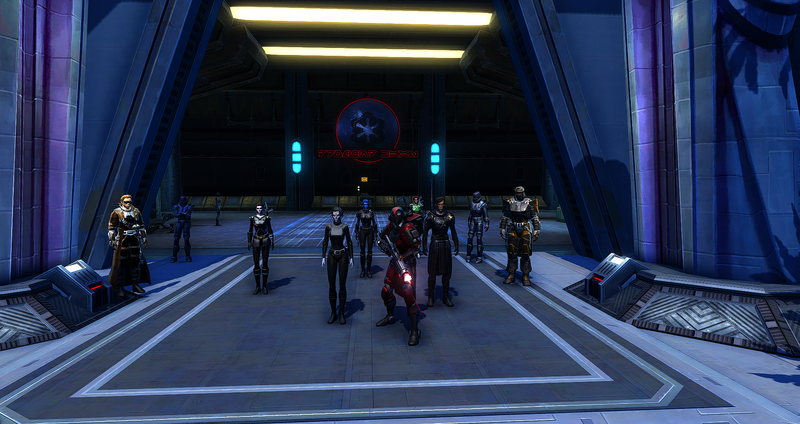 The Paragons Covenant, Sith Empire-Loyal and Allied RP - Recruiting. 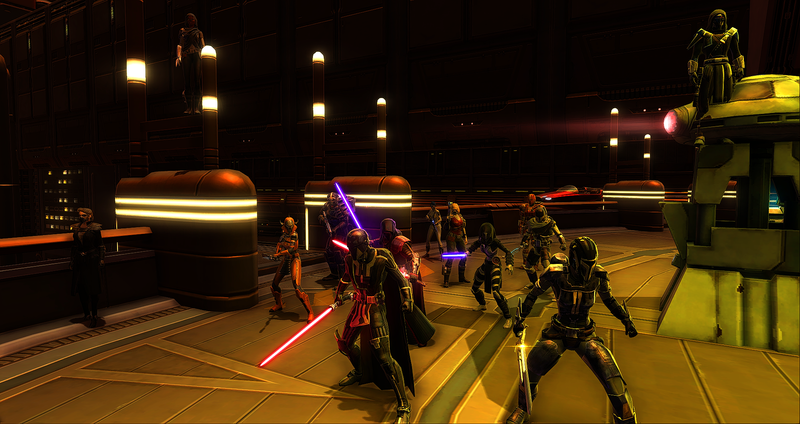 Forums » Sith Empire » The Paragons Covenant, Sith Empire-Loyal and Allied RP - Recruiting. Just yesterday we began a new campaign for the military branch to tie up an intended storyline that was put on ice a while back, and simultanously give the military-inclined characters a bit of action throughout this week and the next. 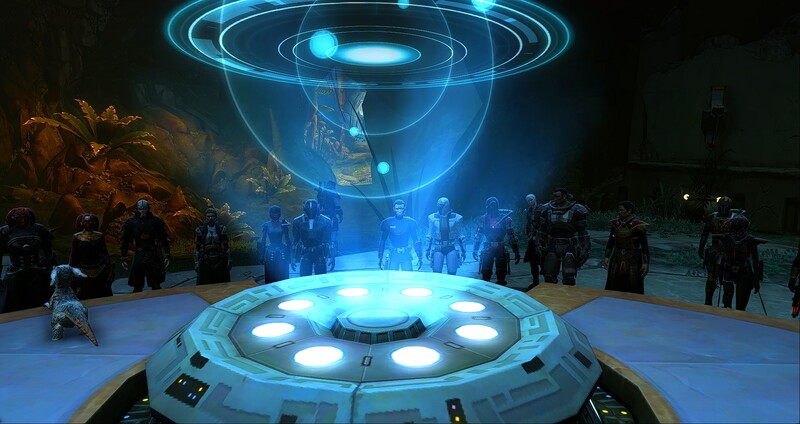 A three-event arc which started off with the Covenant's volounteers meeting with one of the new Moffs assigned under Operations Group Thirteen, who had been tasked with handling the mission. The campaign brought the Covenant down to the surface of Belsavis, the goal was simple, conscript and recruit as many prisoners as they were able to from the clutches of the republic's prison complexes until the Empire's base of operations for this campaign is discovered. 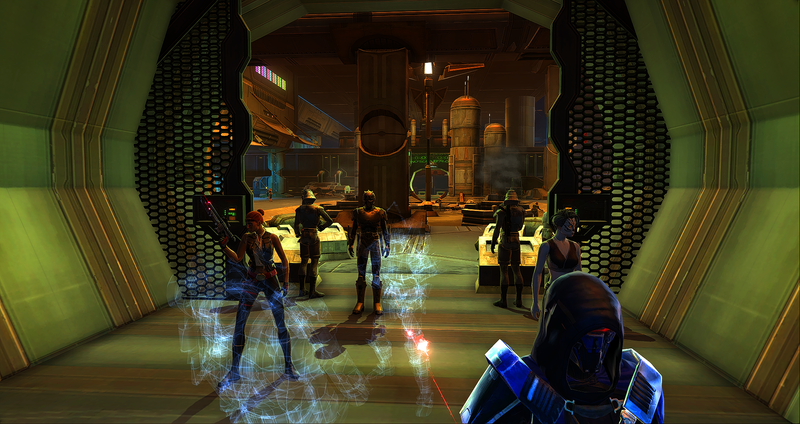 The strike team was taken through one of the Republic's detainment facilities, and while they secured a storage for carbonite-frozen prisoners, they discovered that the facility they were sent to breach had already been compromised from within, the prisoners having planned a prison-break of their own. Appearing conveniently at the nick of time to assist the prisoners with the remaining republic wardens, the Covenant's force cut the jailors down to size and captured the appreciation of the prisoners present, securing a large swath of them for future use by the Empire. 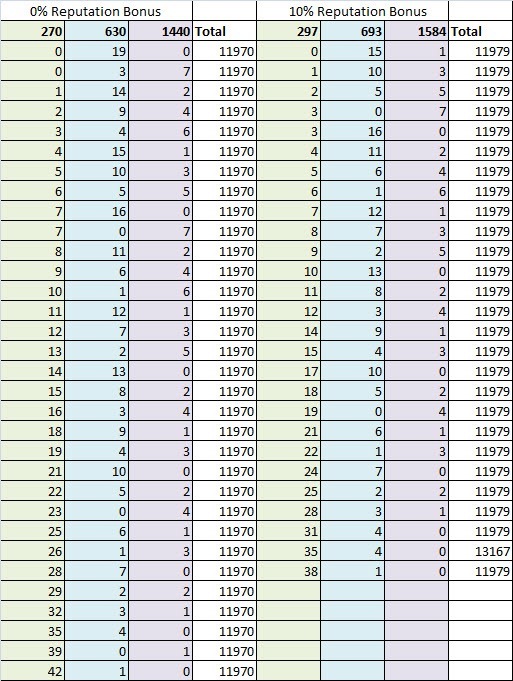 When introducing a character to the Covenant we usually have a process to go through. The intro can be tailored to the member's wishes within reason. It serves to answer the important question of how the character ends up working for/with the covenant, and can be something as simple as a transfer or having accepted a remote contract, only going through the relevant dialogue before being considered finished and ready to go. Or it can be something more elaborate like a scene such as the one in the screenshot below, where two mercenaries encountered oneanother by happenstance in an area heavy with republic soldiers, covering eachother's backs while they try to get themselves out of the area and back to safety. The intro is finished when the character has been spoken to thoroughly, their motivations, proficiences, interests and background investigated and conversed over, and relevant work details such as who they report to for more work has been relayed. Sometimes the intro can include several other people if requested, and serves as an excellent opportunity to break the ice and get to know more people directly through RP, acquainting characters with eachother to whichever level is appropriate for the RP at hand. 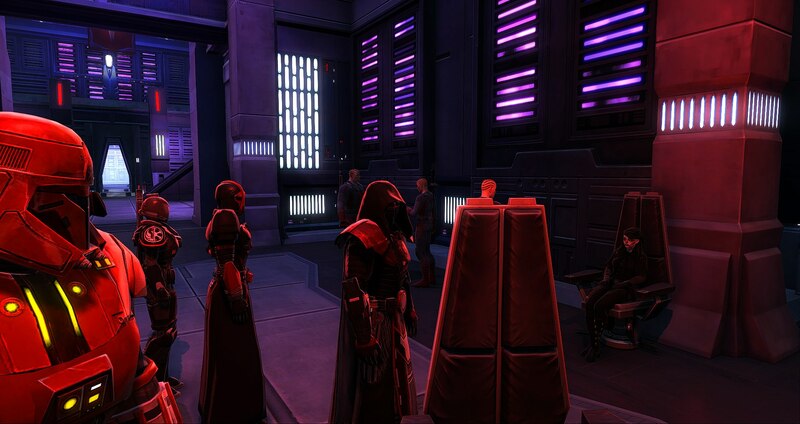 In a recent intro we held on Korriban, several of our Sith were sent to meet with one of the new Acolytes that joined recently. Do have a good one, and we'll see eachother around i'm sure! Until next time, happy 2018! 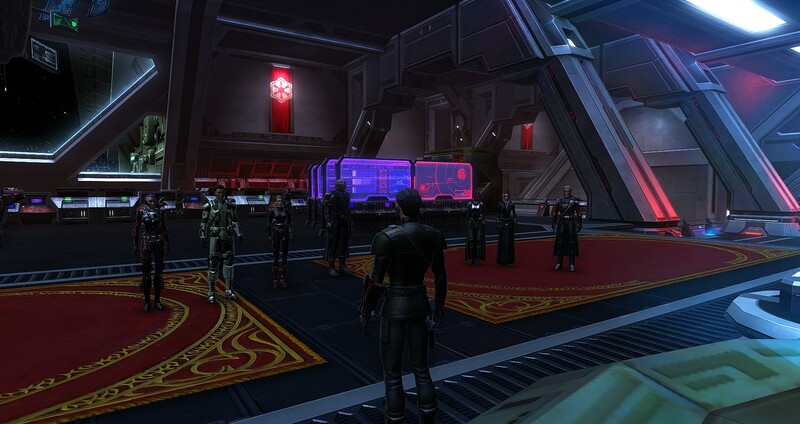 The Outrider Mercenaries were taken on a spontaneous contract which led them to the surface of Dromund Kaas, a bounty on an escaped Jedi captive, which would fetch a fine reward for the lot of the mercenaries if delivered alive to the Sith Lord whose compound the Jedi escaped from. The group came well prepared and well stocked for trouble, but upon locating the Jedi, they found a bit more trouble than they had bargained for. 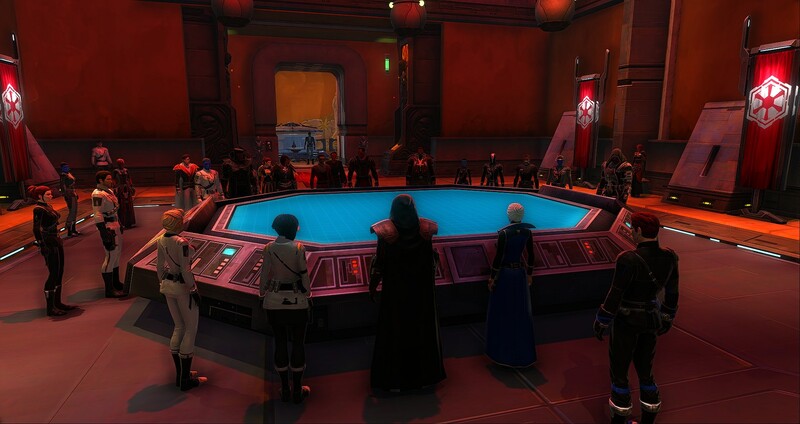 At the recent Imperial Military conference held by Moff Klovin/Aristocra Shol for the star forge community, the Covenant was present and represented its interests in assisting in the upcoming campaigns. 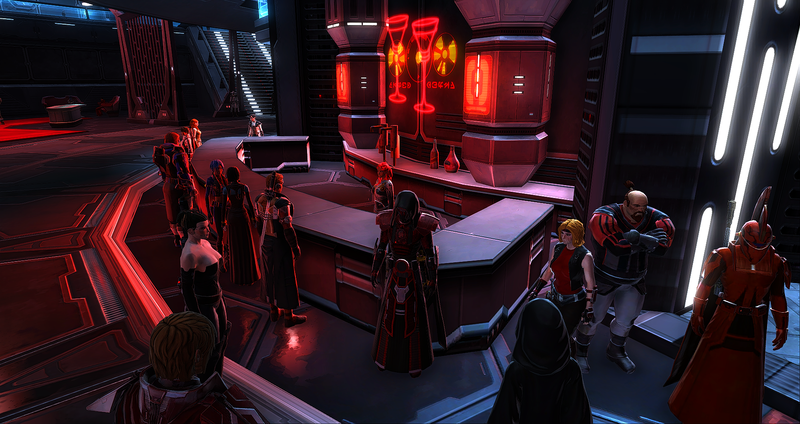 The event was an excellent time, with plenty of good and memorable moments and characters. Here's a picture of the main floor where things were being discussed. And of course, you are very likely to see a couple of us around in public every now and again! If you do see us around, do not hesitate to get involved, we'll gladly RP, as always! 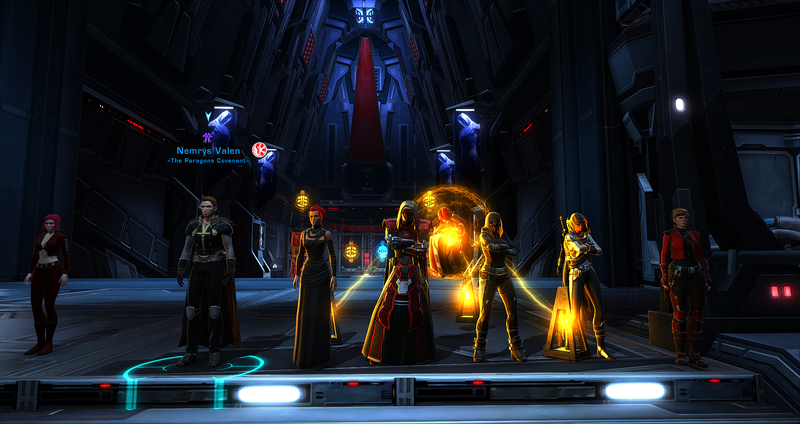 Recently we began to once again run our main guild storyline which coincides with the storylines of the game. Currently the Covenant has fought the Zakuulan invaders time and time again, but an old threat rears its ugly head as this new enemy falls to obscurity. On Iokath, the Empire is sent, and the humble beginnings of the campaign from the Covenant's imperial perspective will happen. 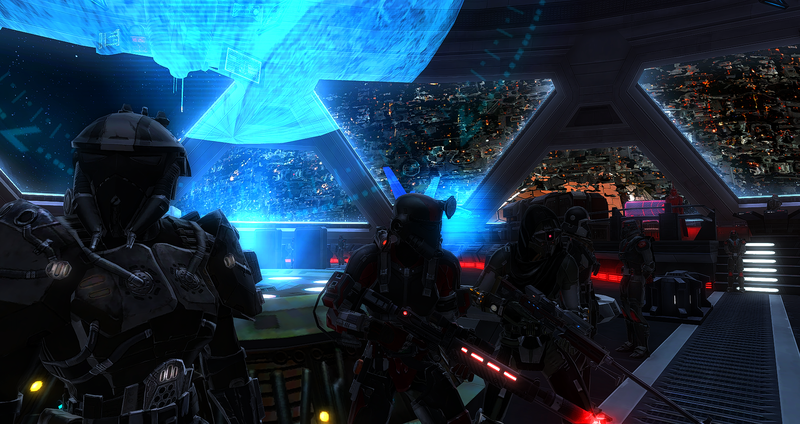 Operation Golden Age became the title for the Covenant's involvement, as the firm belief that the offensive on Iokath can spark the end of the war sets in. Gathered upon the bridge of the Sovereign's Convergence, the Covenant's available specialists prepared for another excursion as part of Operation Golden age, with a simple objective that would prove precarious in practice. 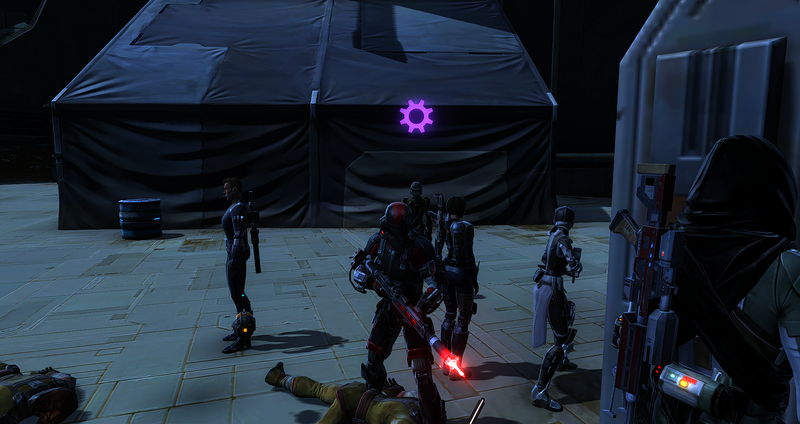 Their goal was to explore the grounds around one of the imperial bases built in recent times, which they had to protect at one point during the start of the Empire's offensive to Iokath while avoiding contact with the Alliance on the ground. 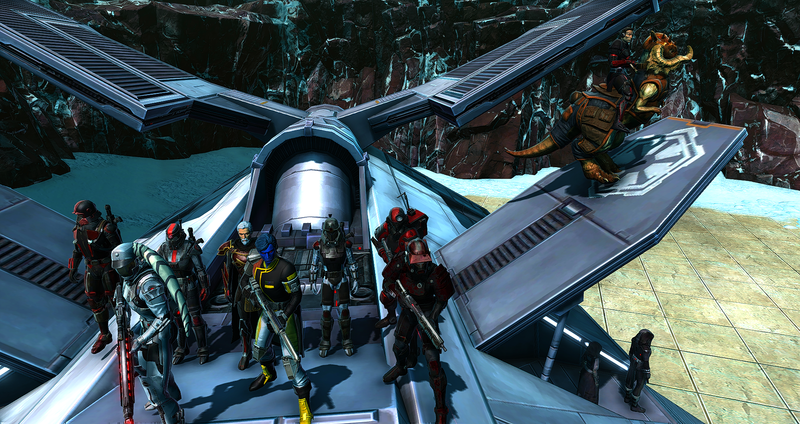 Shortly after the briefing the strike team was sent to Iokath's surface, landing with their shuttle within the imperial base they were assigned to, and prepared to explore the machine-world. Early on in their expedition they were found by an Alliance wardroid on patrol, and had been ordered to arrive with their usual and best kit. Having no explanation for their presence, and unable to convince the droid that they were of the Alliance, they sliced and disposed of the machine, making sure it wouldn't be searched for. 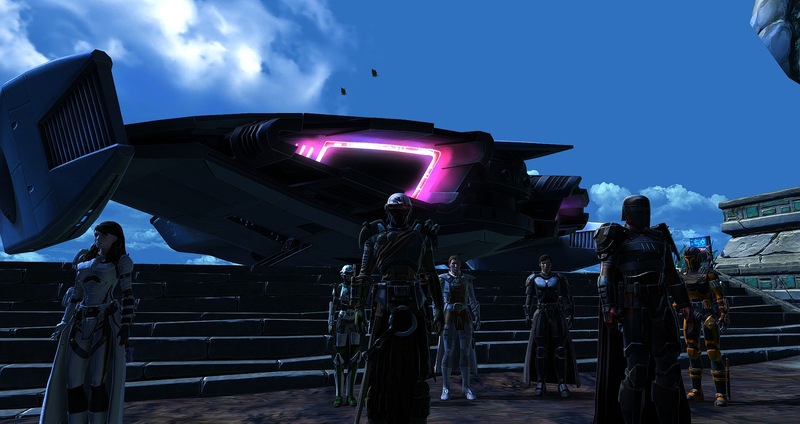 Several scouts from the Covenant's team were sent out to survey ahead of the main group, and came across Monitor droids, passively hovering around an old structure, ravaged by past wars on Iokath, its' purpose unknown. 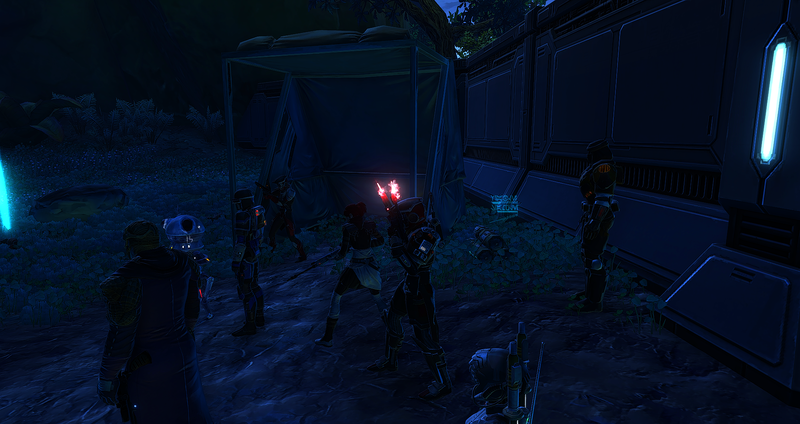 Finding a broken Monitor, likely fired upon by the earlier Alliance wardroid, they fixed the machine just in time for it to begin observing the group as the sounds of welding and tinkering attracted the less hospitable Custodian droid denizens to their positions. Having surpassed their foe and been assisted by the one Monitor droid they managed to repair, the passive machines returned to their harmless patrolling as the Covenant slowly explored onwards after the Custodian droids were destroyed, and the site itself marked for a later salvage crew to pick through at a later date. Another group of these droids were found as they entered another structure, intact and heavily fortified. Wide corridors greeted them upon entry, aswell as the second group of custodian droids, only these ones had already been struck down by republic and imperial weaponry alike after close examination. 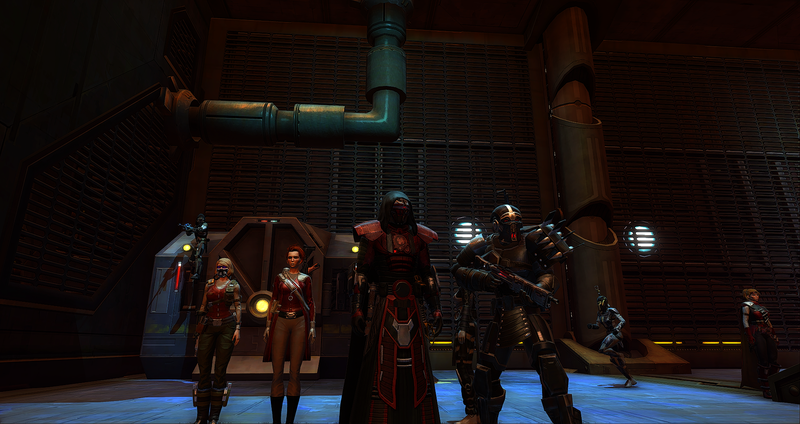 Preparing for the possibility of hostile exchange, they explored the building until they came upon an Alliance force, and after successfully lying their way to not getting forcibly removed from the premises, the Covenant left a pair of representatives to negotiate further with the Alliance's team present, as the others were allowed to peacefully depart, having been otherwise outnumbered and likely defeated. 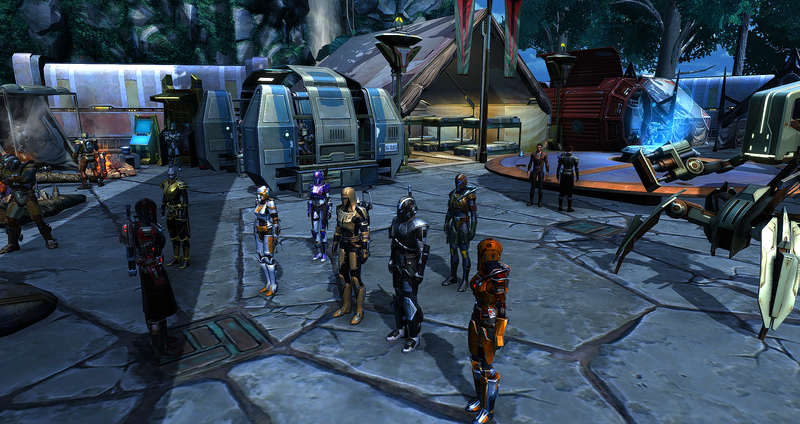 But this was not the last time they'd come across this group of Alliance forces, though the circumstances of their second encounter was a far cry from the first. Whereas there were only tensions during the first meeting, the other was another matter entirely as a familiar enemy to the Covenant resurfaced. 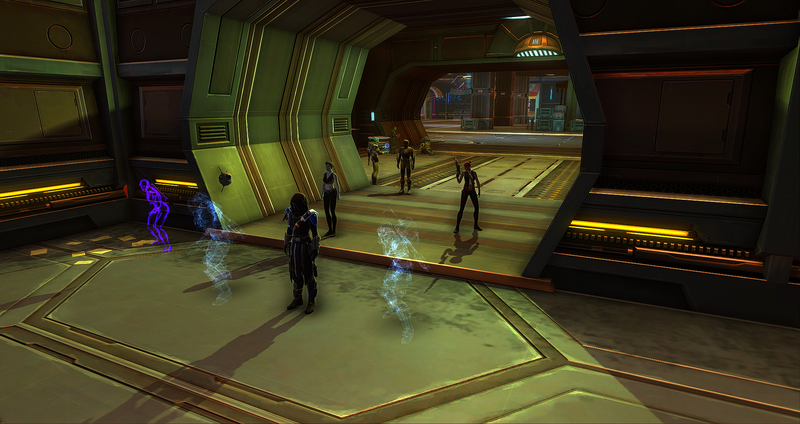 Having bugged the Alliance base stealthily in their last encounter, the Covenant heard brief traces of distress before the transmissions were silenced, sending a force to investigate. 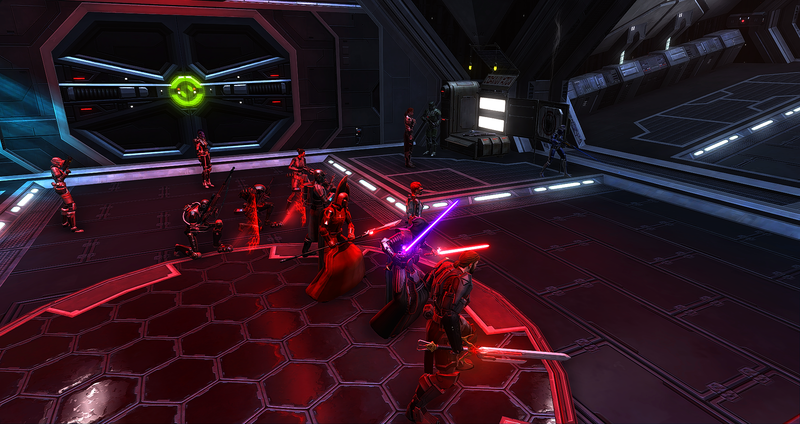 The entire team of Alliance personnel within the base they encountered before had been massacred by an old foe of the Paragons, zealots of the traitorous "Iron Order", the brainchild and movement made by the rogue Moff Riehl to reignite the war and remove the Sith from the top of the pecking order of the Empire. 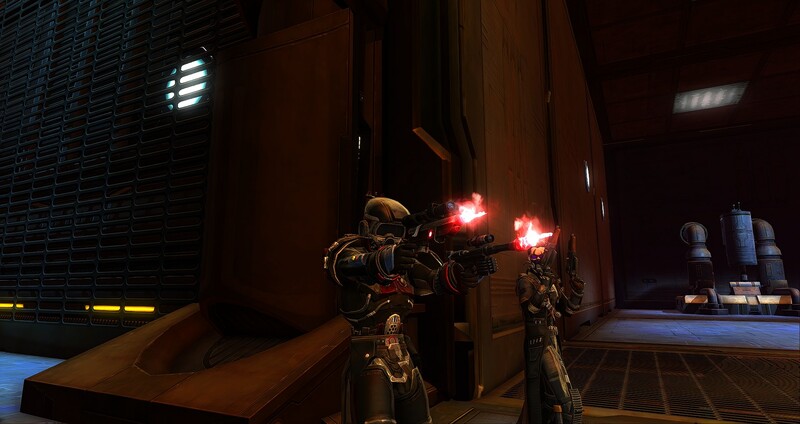 Being forced to fight old friends, as Riehl coerced a large portion of the Covenant's military forces to follow him in his madness, the Covenant's smaller team prepared for a tough fight as they put the traitors to justice after witnessing them execute some of the Alliance's own. Even this small group of traitors seemed to be a difficult match for the Paragons, which would prompt caution in the future, as they began a research project to find out as much as possible about the Iron Order's genetically enhanced and well equipped soldiers. Prevailing at last, they reclaimed the base and offered it back to the Alliance, their surveillance equipment replaced and re-hidden. 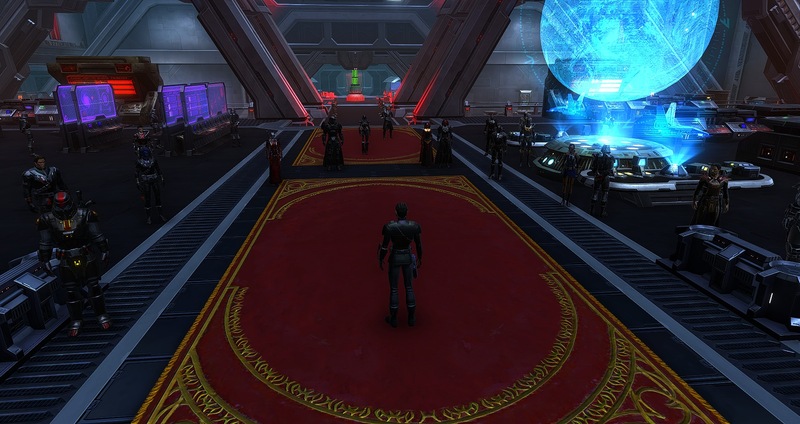 Though the precarious political situation with the Alliance and the old rivalries with the traitor Moff are important issues to deal with, neither of them are more pressing than the very real threat of the Republic's counteroffensive on Iokath. Overhearing through its' network of Agents, the Covenant dispatched a mixed party of Phantom Cell Operatives and military personnel to investigate the destruction of an imperial base, that had been established close to one of the as of yet unscouted regions of Iokath, within one of the old biomes. Fighting through the republic attackers still present, the covenant's striketeam for this mission noticed telltale signs that they had discovered some time prior, in a different attack on imperial ground, which had potential ties to a particular group of Republic Loyalists that had caused issues for the Covenant on Taral V. With far too many different uniforms, showing the insignias and colors of different units, the republic invaders were surmised to be yet another easily deniable organization of 'revolutionaries'. The location was resecured for the empire, though not before the Covenant investigated how precisely the base was attacked, and how such an attack went by without notice by other imperial forces in the vicinity as it occurred. In weeks prior, the Covenant suffered a setback as the Republic sent a very similiarly outfitted force to attack the world upon which its' Academy lay, Taral V. The initial attack in space seemed like more of a distraction than anything else, as the ships were easily destroyed, the true danger being the multiple republic shuttles darting for the surface, some of which surviving, which prompted a unified response within the Covenant to help the rest of the imperial garrison on Taral V to scour the world for possible survivors from the fleet battle and put them down or imprison them. Encountering several survivors encamped within the jungles far outside the academy, they came upon a hyperspace beacon nestled amongst some communications equipment next to the main tent of the republic camp they found, all troops having different uniforms and equipment on them, looking more like a ragtag band than a military fighting force, though their proficiency implied otherwise. To their surprise and before they could shut the device down, a Republic Thranta Class Cruiser was able to drop in right above their current position, bypassing several imperial ships in orbit, a timed and planned attack, and began an orbital bombardment. The Covenant had enough time to signal for an evacuation of the academy before it was leveled, shortly before the cruiser was ripped to shreds by imperial Harrower and Terminus destroyers that surrounded it, a couple of minutes of full orbital fire all that was required. Now without an Academy, and the location of its ruins requested by the Ministry of Logistics, the Paragons planned for a new location to be built to house the academies' function. After the destruction of the academy, the Covenant's Expansion Institute recieved word that a portion of their assets needed to set out towards the location and neutralize one of the droids they had kept within the Academy lab, which had been attacking local wildlife with chemical weapons, causing trouble for imperial guardsmen in the area trying to keep the place secured as various imperial institutions helped pick through the wreckage. After finding the frenzied droid the professor in question that had build and stored the droid there came to join the team as she attempted to reason with the semi-intelligent droid into coming with them without causing further issue. As this was going on, another portion of the team were forced to contend with aggressive wildlife, but being of mostly imperial descent the Yozusk they fought, while large, was par for the course for Kaas residents and handled eventually. 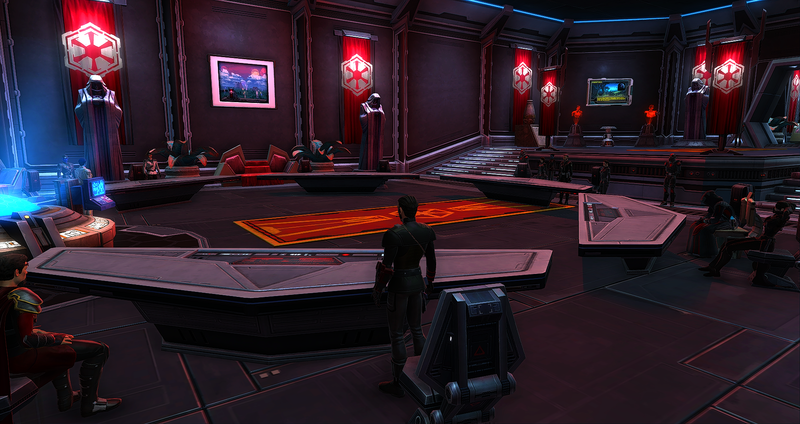 Managing to get the droid to stand down, the team continued on to find the central structure of the old academy, finding several items of interest to bring back for safekeeping or use. 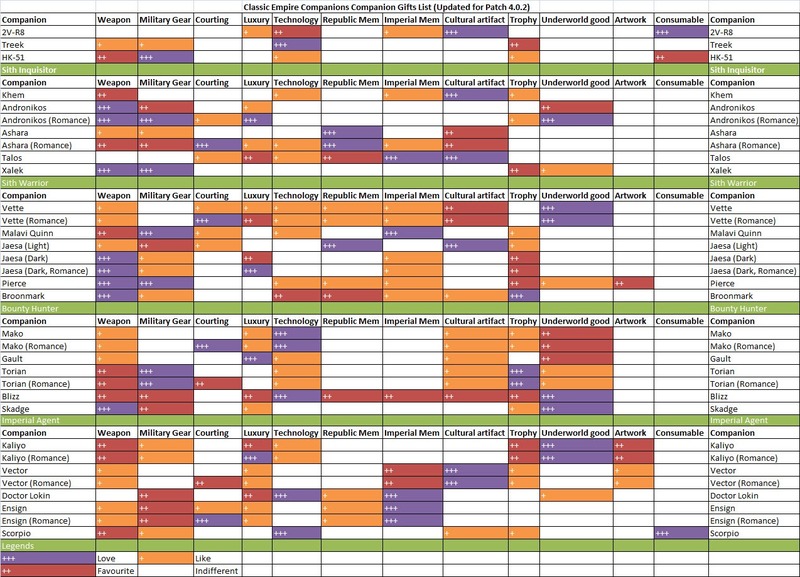 But that's not all, aside from the central plots we also have branch-based and multi-branch events that are more grounded in the meat and bones of each branch. 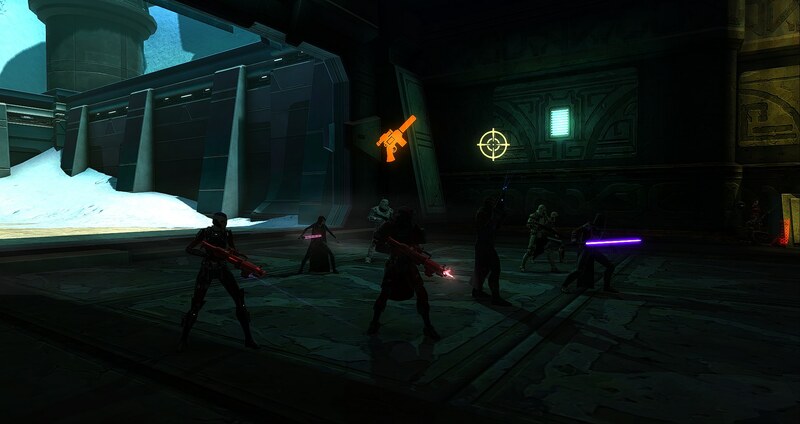 The above image is of a job the Outriders were sent on by a secret client within the Covenant, meant to clear out a gang on Nar Shaddaa in order to ease said client's operations in the area. 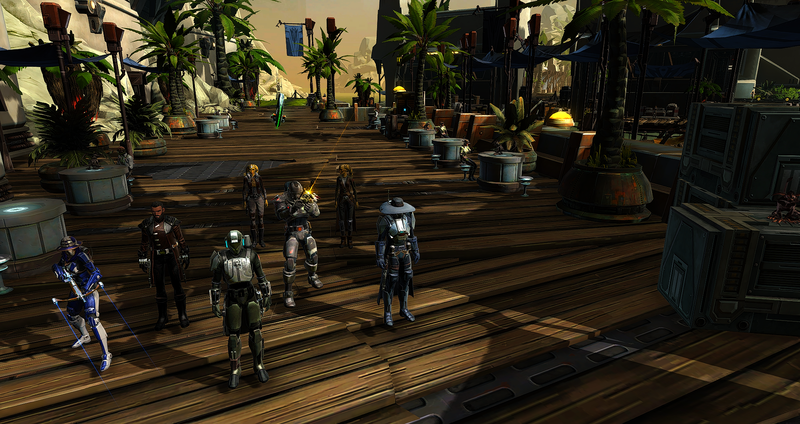 To their side they welcomed the Mandalorians of the Gar Ka'rta coalition, and set out to their objective on Nar Shaddaa. While covering eachother's backs, they wade through the Smuggler's Moon gangland, fighting their way past criminals as they did the galaxy a favor in ridding the area of the cretins and ruffians that made their territory in the area. The leader of said gang attempted to trick the commander of the outriders into compromising his position when they eventually found the gang leader, but one of the droids accompanying the mandalorians present was keen enough to spot a concealed weapon, and killed the man before he could betray them, making the rest of their work a simple and paltry task. And now with that whole slideshow of text and screenshots over, bear with me, we come to the end of this message! I simply wanted to showcase to everyone that might be interested in joining up that if you decide to do so, you'll end up somewhere well established and active. 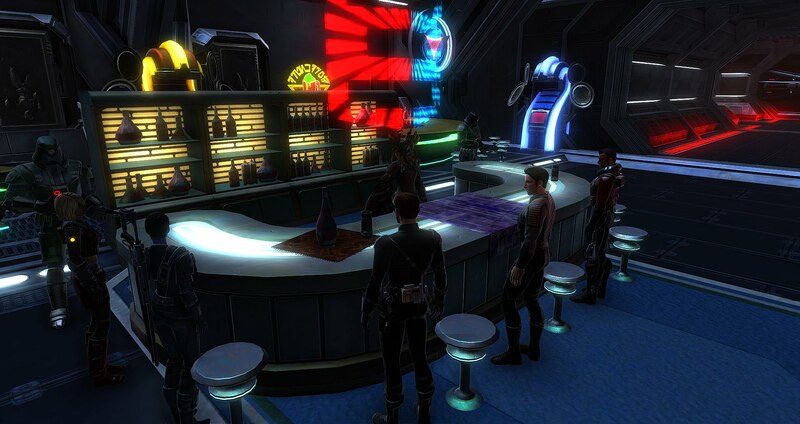 Almost always something going down, wether planned or unplanned, and our times with the community of the Star Forge have been great so far, and it's in elements like these that we thrive in. 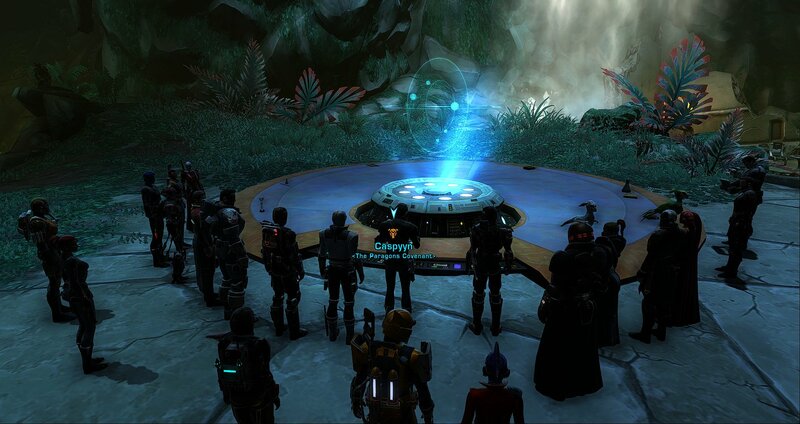 I personally try my best to communicate with everyone, new and old, officer and member, aswell as people inside and outside of the guild to establish a mutual trust and respect, in order to make sure that we are doing all that we are able to do to make the Covenant as welcoming and compelling as it can be. And while it has not always been easy, it has most certainly worth it, because people like yourselves make it so, let no one claim otherwise. Above all, Star Forge, stay classy. We'll happily do the same. Hello and greetings once again! I've written quite a few of these over the near year and a half we've been around, i feel. Sometimes wondering what more there is to write, but i realize that atleast in my own case that's not an optimal way to think. More of the same, if it's good, is sometimes just fine, and from what i have heard and seen, that sort of stability, reliability and the certainty in knowing that things are going to keep working smoothly is what people want in a community at this stage of the game. And that's what we try our best to be, grounded, relaxed, and stable. A lot of folks seem to have had their interest in Star Wars revitalized with the new Solo movie coming out, and that's great to see and to hear! Can think what we wish of the movie, like or or dislike it, but i think we can all agree that the added activity is a good thing, and like the Underworld as depicted in Solo, so are the Covenant's own ties to the underworld active and around, Mercenaries seeking work have a firm future with the Outriders if they decide to give them a shot. 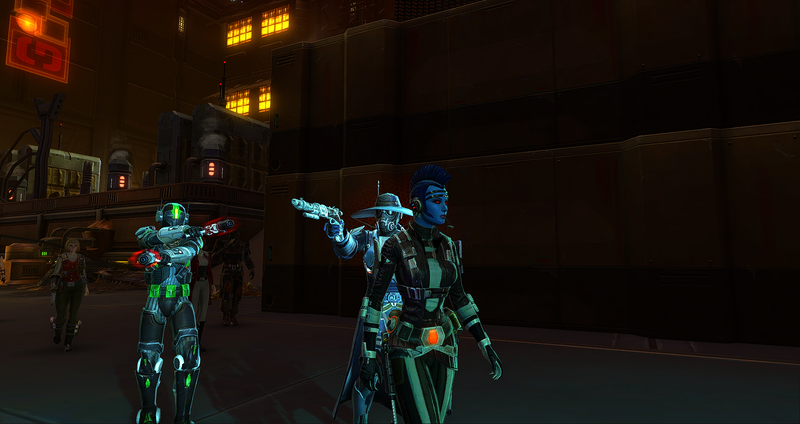 Here's a group of them taking on a contract on Rishi to rid the place of a meddlesome gang that's been making trouble for the Outriders' interests on the planet. And as always, we pride ourselves on being present in the community, and the greatest part of that is when we get to not only RP with folks that we know outside of the Covenant, but also come up with and write stories together. 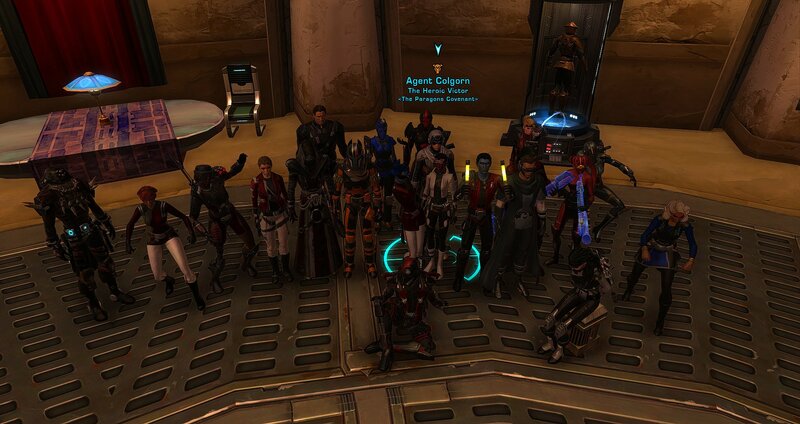 Wether social or preferring to remain with the people you know, we try to be as accomodating and personable as we can, and gladly RP with the good people of Star Forge, as we did below, where four of us joined up with friends made throughout our shared storytelling here on the server! 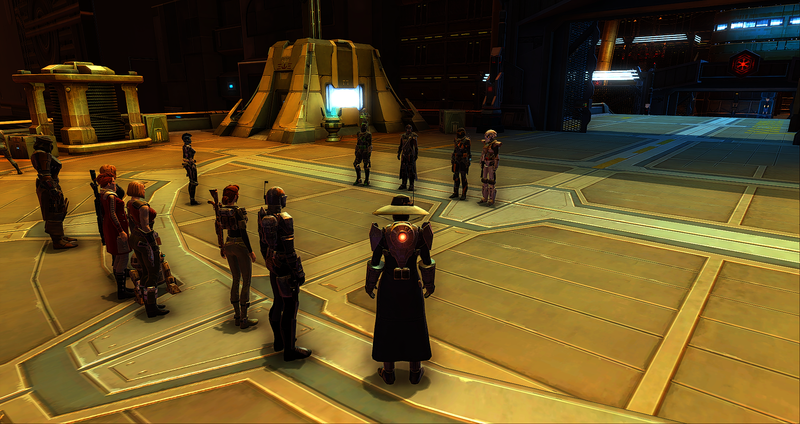 A plot to save a rising Sith Lord from a failed alchemy experiment, and an attacking group of exiled mandalorians. Something else i've noticed is a bit of a resurgence in Imperial Military RP, and that's great! Aswell as appropriate for impside, i dare say. Mandalorians and Mercenaries seem to be popular at all times, though Imperial Military not always so, and it's good to see a swing in the right direction. If that's the sort of RP you're after, we're able to provide, with a good amount of folks with military characters available and plenty of opportunities to use them in military exclusive and shared operations. 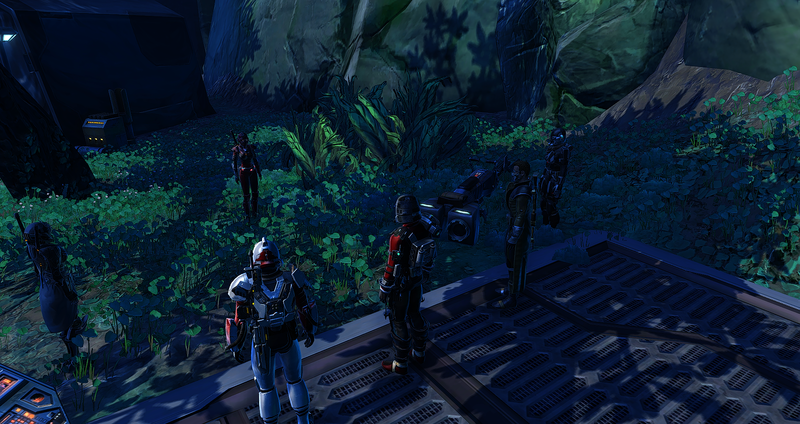 Here's a team of Operations Group Thirteen soldiers alongside a mercenary and mandalorian from the Covenant, formed up during briefing. But even beyound just the RP, the most important part of community, whatever this community does, is create a sense of belonging and friendship. That is an important aspect to not lose sight of i feel. 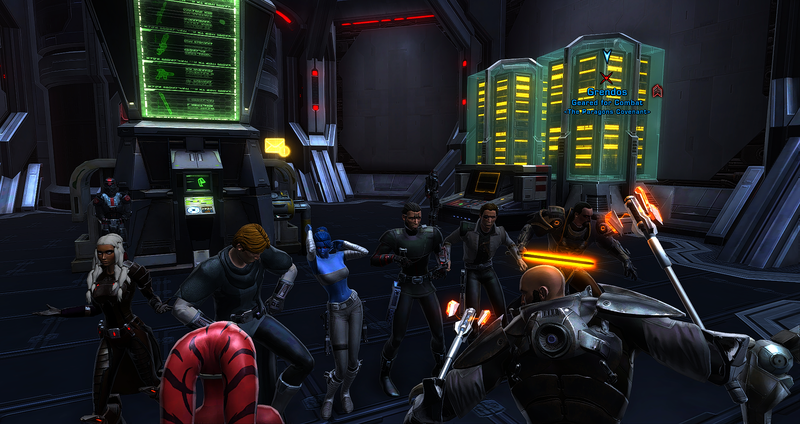 So while hopping on ingame to check what's up IC, doing PVP or PVE on your own or with friends, don't forget to have fun. Because by the end of the day, that's why we're all here, to have a fulfilling and good time. We'll be sure to do just that, and would love to include you! 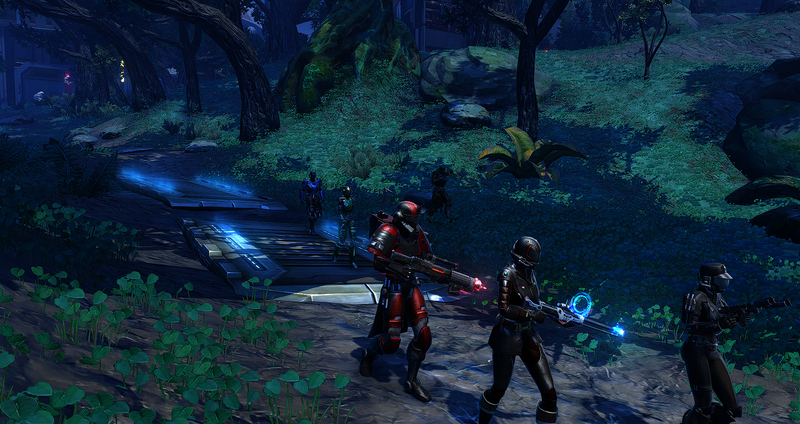 Until next time, Star Forge, we're always recruiting! Found myself inspired today, so here i am again with another update, as recent events have me pumped up for the future! 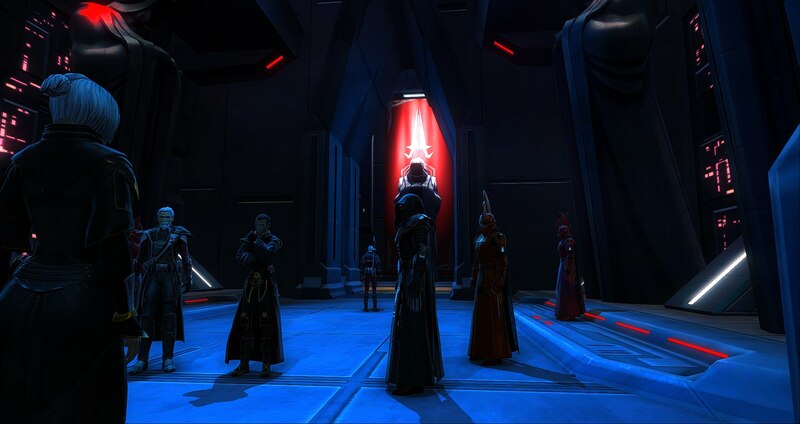 The continuation of Operation Golden Age, our IC perspective and contribution to the Iokath Campaign, set during the time before the Alliance picks sides between the Sith Empire and Galactic Republic, will proceed within the following weeks. 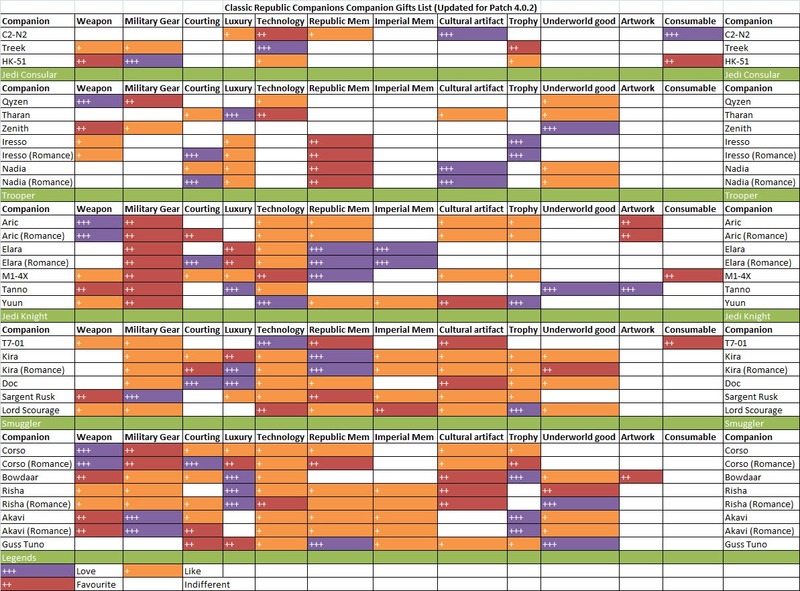 A core trait to Star Wars has been scale, anything from the personal one-on-one between two friends, to the group-based skirmishes and the large scale battles in space and on the ground is well represented in numerous pieces of Star Wars content, be they games, movies, books and the like. And we attempt our best to deliver that same attention to the variable sense of scale that this franchise is great at portraying. 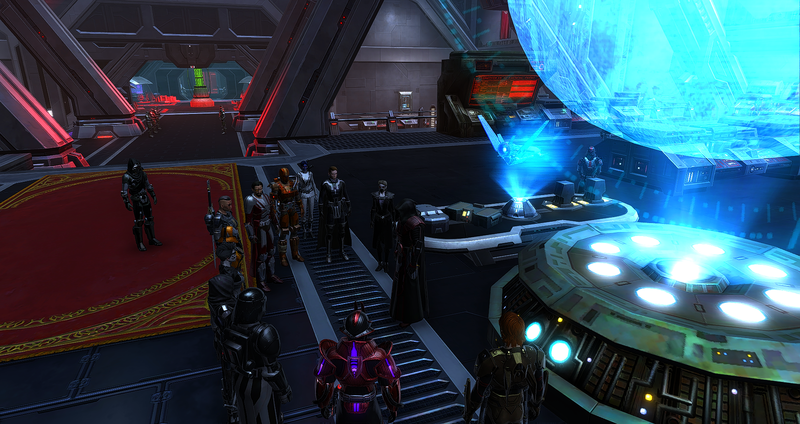 Aboard the bridge of the Covenant's Flagship, the Sovereign's Convergence, the champions within the powerbase recieved a summons from a Moff within their Operations Group, and gathered aboard to hear the initial briefing while the ship was in transit. Unbeknownst to the Covenant's personnel at the time, their destination was mythical, thought not to exist and by some, thought lost to time. When the blue vortex of Hyperspace eventually settled and the breaking sound of the Harrower dropping out of the lightspeed jump, the dead world of Nathema revealed itself before them. 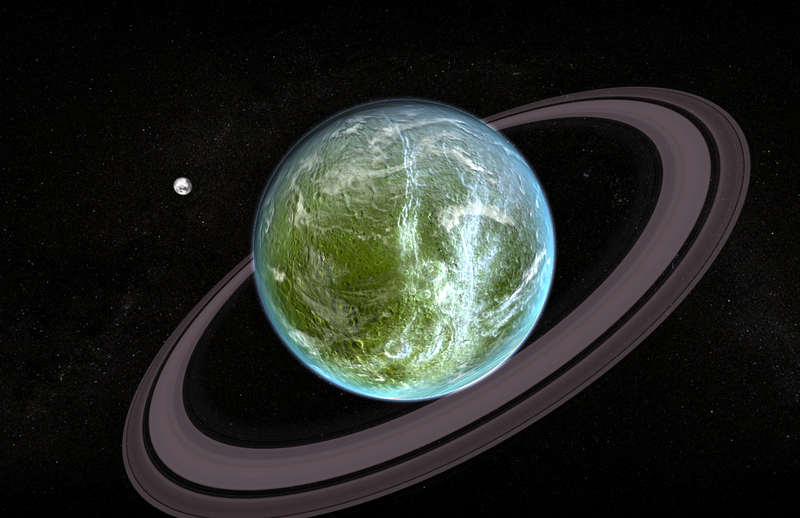 A peculiarity to most aboard, and a surprise to some, the discussions of the planet's existance were put on temporary hold as they arranged for transport down to the surface to enter the newly built Bulwark, the Covenant's primary headquarter in the sector. 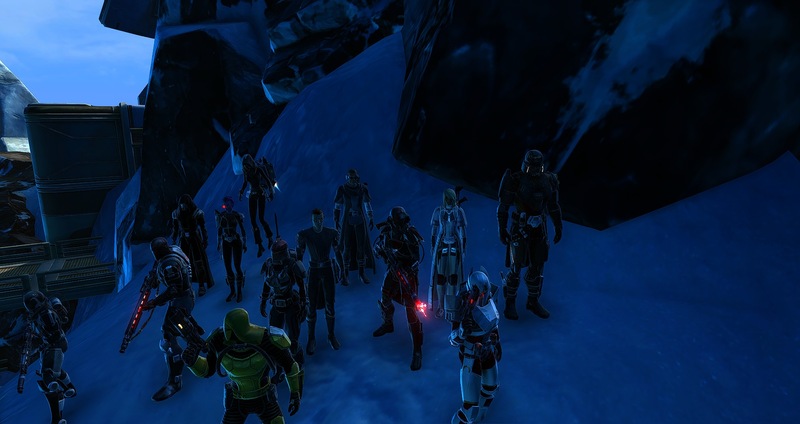 Within a cave system adjacent to the regrown valley among the otherwise barren grounds of former Medriaas, the Covenant gathered together to discuss the plans for Iokath, as new circumstances beset them. The 'Manufactorum', the Ministry of War's nickname for a previously derelict factory, became the Covenant's next target in their mission to the lost world, as sudden droves of the droids that protected the complex spewed forth, and a republic presence spotted within the area. 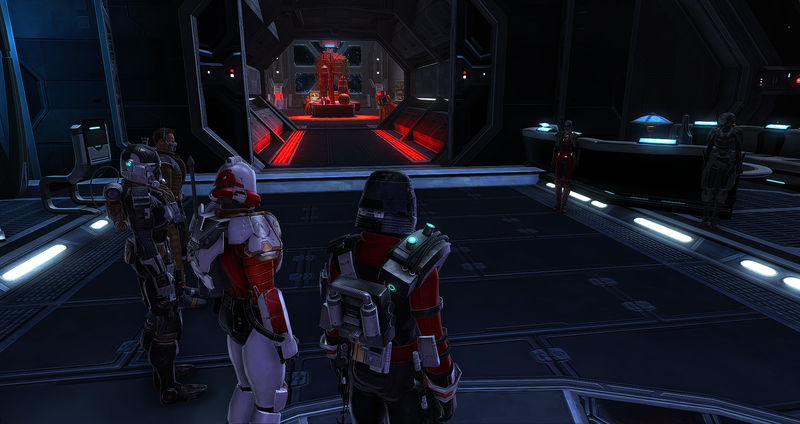 With the assistance of scouts from within the Operations Group, the facility was confirmed to be functional, the means how currently unknown, making the region within which the Covenant has been positioned on Iokath into a contested zone, which would not stand. Weathered veteran and new talent alike united in cause during the meeting regardless of alignment and allegiance to plan out the best approach to the Covenant's objectives, and as the war conference ended the group trickled away from the area, now with new purpose to plan for the grueling combat ahead. Have a good one folks, my thanks to you for reading! 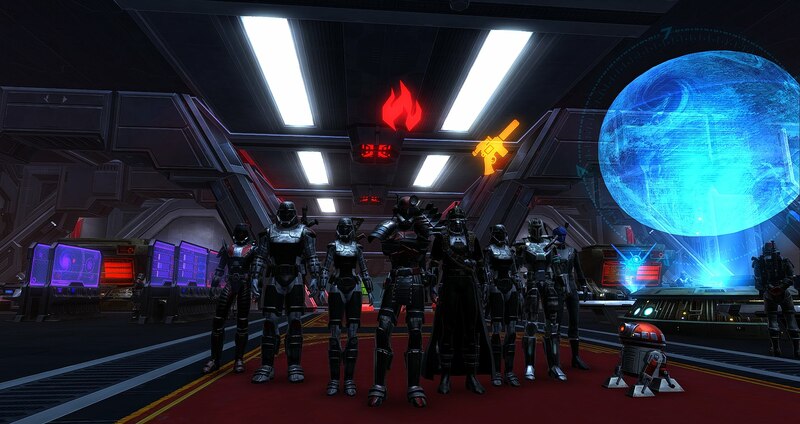 For those of you wanting more focused experiences however, get something a bit more traditionally niche and targeted towards that theme of RP you prefer over all others, we like that too, and while we will always encourage people to hang out with everyone, there's little cooler than seeing a well-sized group working for a common purpose, Mandalorians rescuing one of their own, Sith investigating the odd phenomena observed around the old tombs, imperial military forces contributing to the campaigns of the Empire, and so on, we have similiar interests, and everyone can host events! 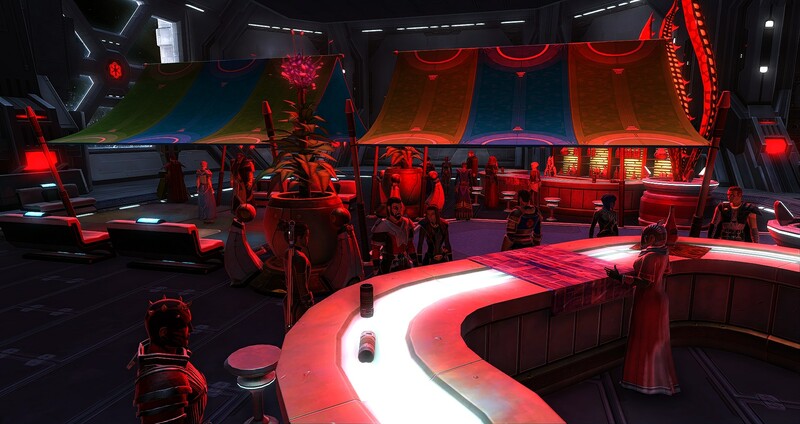 We're having a celebration event today, social and interactive, aboard our flagship, and the RP community is invited! It has been a long two years, but we're still here, still going strong and still having a great time, so inviting you all to the fun is the least we can do. We'll be bringing the Empire and its' allies to its' next conflict before long.